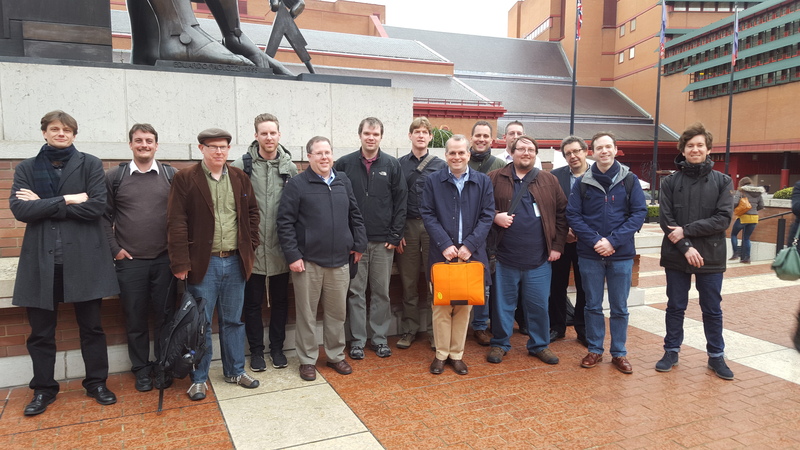 Last week the Clipper team participated in an invited workshop at the British Library, organised by the International Image Interoperability Framework (IIIF) consortium. The purpose of the workshop was to collate use cases and start outlining a development road map for extending the IIIF to include support for Audio/Video annotation. This was a great opportunity to find out more about the IIIF and the collaborative design process that has produced it. Joining the five IIIF editors were a further 14 representatives of organisations and projects with an interest in Audio/Video annotation and interoperability, including the British Library, British Film Institute National Archive, National Library of Wales, Harvard University, Indiana University, Oxford University, EPFL, WikiMedia, EUscreenXL and Europeana. The workshop gave us an opportunity to share our use cases and collate a common set that we could then prioritise, relate to existing standards, and outline potential levels of functionality for future implementations. The IIIF editors will be reporting on the workshop next month in a specific session at the annual IIIF conference in New York, where there will be further opportunities to comment on and develop the use cases and inform the initial draft of an AV interoperability standard. Within the Clipper project we are planning to implement a structured data model using JSON-LD that will draw on the IIIF and W3C web annotation standard. We intend to feed in our experiences from the Clipper implementation to support the development of the AV standard, as well as learn from the advice and experience of the other contributors. The AV workshop has given us a great introduction to the standard and the community that are creating it.